This will be our final (short) week before our holiday break. We have full days Monday – Wednesday. On Monday, December 18, 2017, we will have a quiz on 5.6a – adding and subtracting fractions and mixed numbers with unlike denominators. I will be giving students note pages (with detailed examples) to glue into their math notebooks tomorrow and will allow students to use the pages to complete the quiz. Copies (pdf) of the full pages (which have been reduced for student notebooks) are above under a new tab I created (Math resources). On Tuesday we will have a test on SOL 5.4 Matter. Tomorrow, Monday, December 18, 2017, we will take and review a quiz as a warm-up for Tuesday’s test. 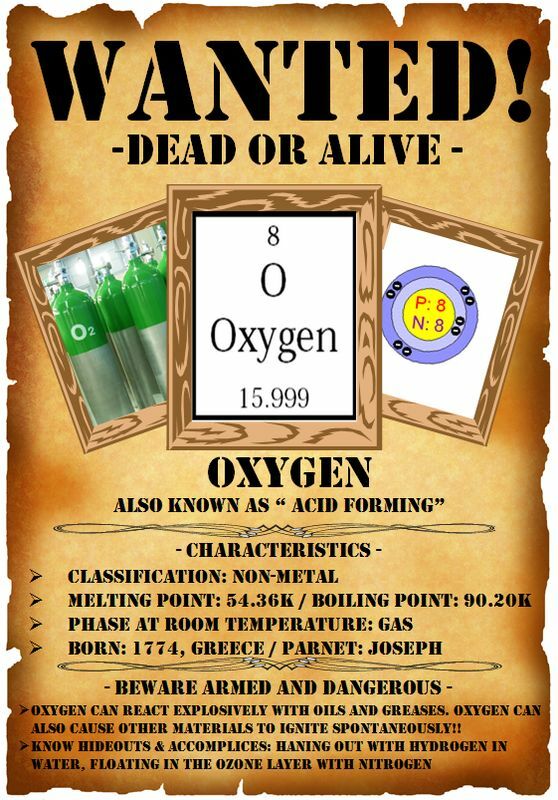 Students will present their Element Wanted posters either Tuesday or Wednesday. Homework credit has been given, and the posters will be graded with a rubric as a quiz grade. There were some awesome products made by students! Tomorrow we will finish our Environmentalist Packets and slide presentations for the Writing PBA, and all students will present on Tuesday with the individual or group member they chose previously. All students will be graded on the PBA packet, visual presentation, and oral presentation of Task I. These packets and presentations will be used to complete Task II (a formal writing) at the beginning of the third nine weeks. In social studies, we will learn about the important individuals involved in the American Revolution. There is NO homework in any subject this week. A new Missing Work list will be posted for math tomorrow morning. Please encourage your student to check the List. As I previously emailed, when we return in January 2018, students will begin receiving 3 point deductions per day for assignments that are turned in over one week late. This week we will continue with SOL 5.6 in math with adding and subtracting fractions and mixed numbers. We will add in working with mixed numbers and fractions in word problems, using the eight steps model drawing method. In reading and writing, we will continue with the Environmentalist Packet. This week we will learn about invasive species and their impact on the environment while reading about Burmese pythons. We will continue to work to complete the slides on each of the four topics. The goal is to be complete and have all presentations shared by the end of next Tuesday, December 19, 2017. We are continuing taking A. R. tests and working on making individual goals for the second nine weeks, in hopes of having the whole class reach their goals this second nine weeks! In science, we are continuing with SOL 5.4 this week as we learn about mixtures and solutions. In social studies, we will learn about causes of the American Revolution, and the political ideas that led to it (US1.6a,b). Interims will be coming home on Wednesday, December 13, 2017. This week we will continue working with fractions – SOL 5.6a. We will add and subtract fractions (with unlike denominators) and mixed numbers. We will also go back and review/reteach converting fractions to decimals and decimal and fraction ordering from greatest to least and least to greatest (SOL 5.2b). In reading/writing, we will begin the second increment of the Writing PBA (Environmentalist packet). We will read the second text from Reading A to Z in order to build more background for the packet graphic organizer and focus questions as well as the writing that will be completed during the third nine weeks (based on the packet). In social studies, we will learn about the French and Indian War as well as continue learning about colonial America and the social classes. All homework is posted above as always.